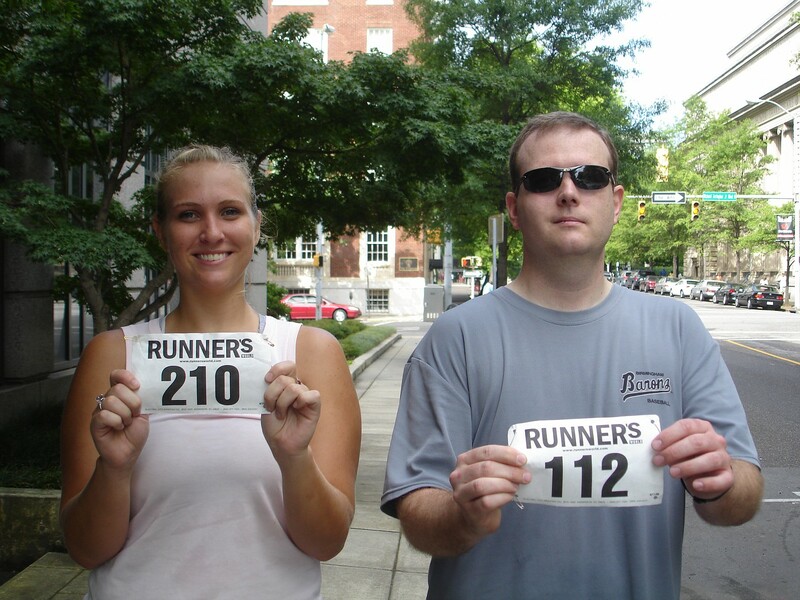 The run last Saturday started out like any other summer run. Hot and humid. The route we were taking with the group was 6 miles and we were thinking about doing it twice. I really didn't want to, but knew that I probably needed to. About halfway through I started noticing some dark clouds. It was sunny when we started and I forgot to check the weather forecast before I left for the run. About ten minutes after we saw the clouds it started sprinkling. It wasn't long before it was a downpour. Now I've run in the rain before, but this time there was lightning and thunder. And it was pretty close. A few cars stopped and offered us rides, but we only had about two miles to go (I think) so we stuck it out and just ran a little faster. We ran by a fire department in Homewood and the firemen told us we were dedicated. It wasn't raining when we started, I think if it had been, I would have rolled over and gone back to bed! But we got thoroughly soaked. I went to the YMCA to shower and change and made the mistake of leaving my wet shoes and running clothes in the trunk of my car for 2 days which was not a good idea! It was pretty rank in there when I took them out and washed them. I washed them twice just for good measure! Blogger ate my post! That's what I get for trying to update while at work. So let's try again. Probably no one cares about this, but I've been on the search for a running shoe that I actually like and I think I found it. My last pair was New Balance, the pair before that was Saucony. I don't remember what was before that. But this time I got Mizuno Wave Alchemy 8. If I still like them in a month or so, I'll probably get another pair! 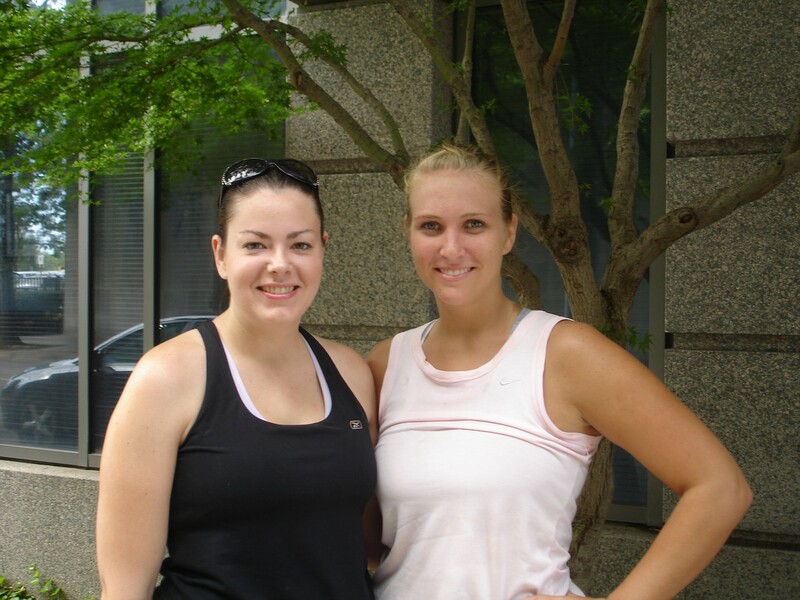 This past weekend was the Race to the Courthouse 5k. 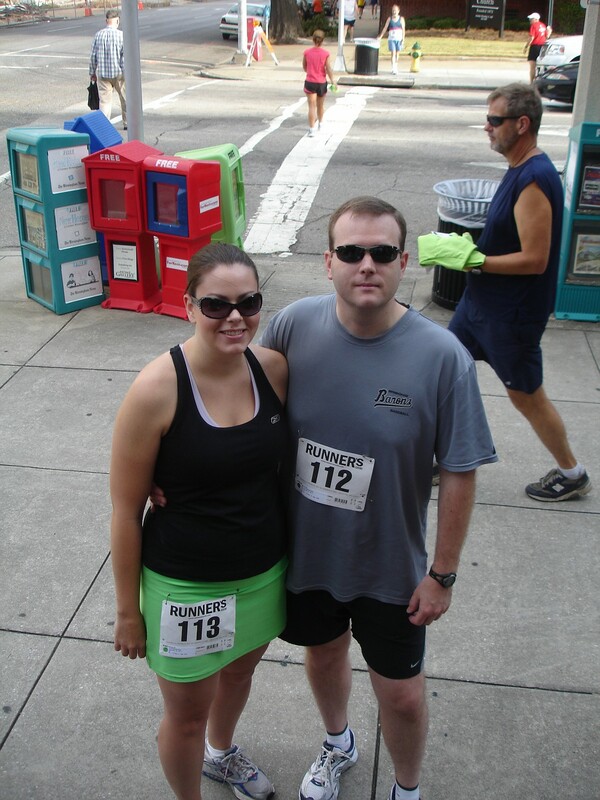 It was my husband's first 5k race. I ran the race too and had a PR (personal record). It was a hot and humid morning already at 8:00 am so I'm surprised that I was so fast (for me). My official time was 31:59 which is about a 10:45 pace per mile. Slow for a lot, but lightning speed for me since my normal pace is a 12 minute mile. 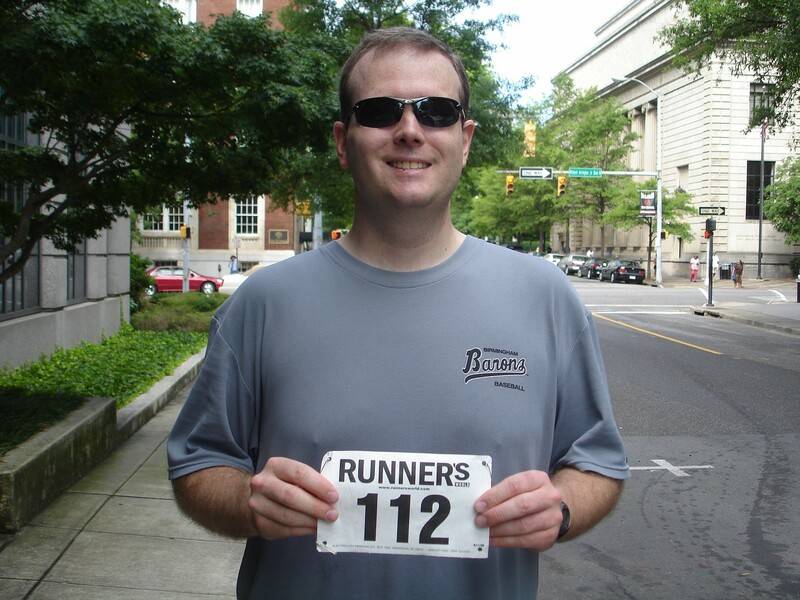 Eric's time was 36:38, which was faster than my first 5k race time of 37:13. All in all it was a great day. I headed to the beach right after the race and Eric went to the post-race party and then I think he went home and took a nap. I've got pictures, but will have to wait to post them tonight.